The Int. on the Bank Stock is allowed, although no part of it, was Intended, to be thus applied, & notwithstanding the Estate of Mr Custis is charged nothing for the Sums, it is Indebted to me. 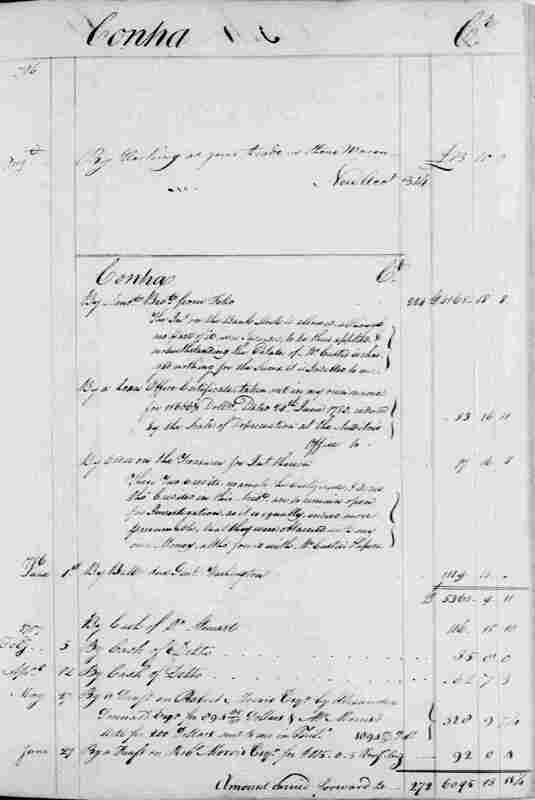 These Two Credits, namely the Certificate, & Order tho' Credited in this Accot, are to remain open for Investigation, as it is equally, indeed more presumable, that they were obtained with my own Money, altho' found with Mr Custis's Papers. 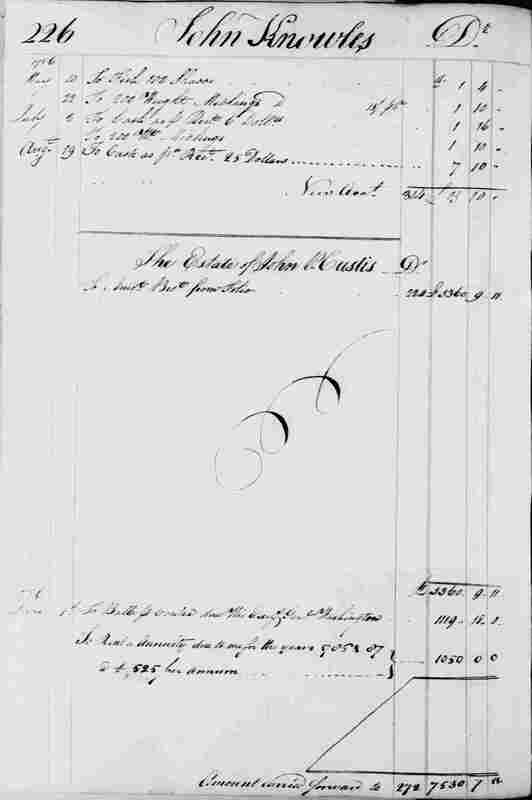 By a Draft on Robert Morris Esqr. by Alexander Donnald Esqr. for 894 85/90 Dollars & Mr Morris's Note for 200 Dollars sent to me in Phila. 1094 85/90 Dols.